Melanoma is a form of cancer which occurs in the skin. In particular, malignant cells form in the melanocytes, which provide the skin with color. This type of cancer can occur anywhere in the skin and is exacerbated by exposure to sunlight, the presence of unusual moles, and a person’s health history. Familial melanoma, then, is the condition wherein a person is at greater risk of melanoma because of his or her family history. For a condition to be called familial, there should be at least two or more first-degree relatives (such as a parent, sibling, or child) that have melanoma. Where there is a case of melanoma, at least eight percent of people have a first-degree relative with the condition. The correlation with close relatives is lower, with only at least two percent of people with melanoma reporting such a case. Familial melanoma is inherited. That is to say, it can be passed from parent to child. 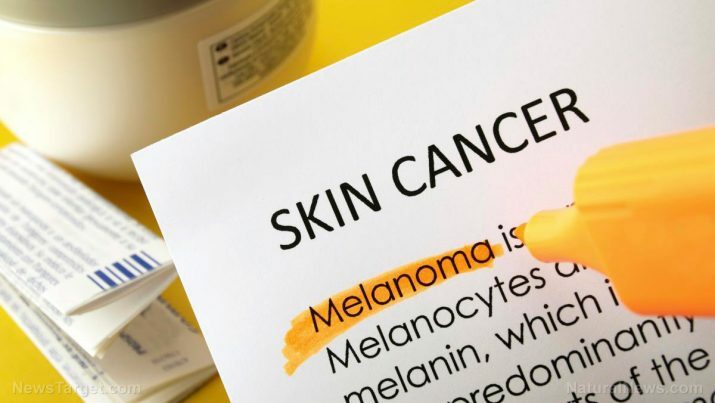 In an epidemiological study, the chances of a person getting melanoma are higher if one of his parents have been diagnosed with the condition. This even becomes greater if that parent was diagnosed before the age of 50. Exposure to the sun is also a factor. According to estimates, at least 65 percent of melanoma cases are related to sunburn. In children, this becomes a very important risk factor. The initial sign of melanoma is a change in the size, shape, color, or feel of a mole. For people with familial melanoma, having a large number of moles, as well as the presence of one that has an irregular border could be another symptom. Asymmetry — The shape of one half does not match the other part. Border — It is ragged, blurred, or irregular around the edges. Color — The mole is uneven in color and may have shades of black, brown, or tan. Diameter — The mole has increased in size. Evolving — the structure of the mole has changed in the past weeks. Familial melanoma primarily affects the skin. It can, however, spread to other areas of the skin and cause pain, nausea, or fatigue. Familial melanoma, as well as other forms of melanoma, have been studied extensively in terms of vitamins that can prevent or treat the conditions; however, the body of work is still new. However, there have been some herbs and supplements that showed promise in laboratory tests. Curcumin from turmeric has been shown to have many benefits and could be added to a person’s diet. Cordyceps, a type of mushroom, inhibited melanoma skin growth in mice studies. Garlic possesses anti-cancer properties and could be added to the diet. The extract from green tea contains powerful antioxidants which can prevent cell oxidation, a potential cause of cancer. Nicotinamide boosts the repair of UV-radiation damage in the DNA. Quercitin in kale and blueberries is a flavonoid that has anti-cancer properties. Rosemary extract has carnosol, an antioxidant with anticarcinogen properties. Tea tree oil suppressed the growth of human melanoma cells in lab studies. If a person has a parent, sibling, or child with melanoma, he should be carefully monitored every three to six months by a trained health care provider to catch any moles that may start to change in shape or color. Children who have a history of familial melanoma should start their screening by age 10. Once a person is diagnosed with melanoma, healthcare professionals will recommend various treatment options. If the melanoma has not yet reached the lymph node, it could still be removed by surgery. Chemotherapy, on the other hand, uses drugs to kill cancer cells and stop them from dividing. Depending on the type and stage of melanoma, radiation therapy could be used to kill cancer cells using high-energy x-rays. Familial melanoma is the condition wherein a person is at greater risk of melanoma because of his or her family history. For a condition to be called familial, there should be at least two or more first-degree relatives (such as a parent, sibling, or child) that have melanoma. The condition primarily affects the skin. It can, however, spread to other areas of the skin and cause pain, nausea, or fatigue.